Parabens: These are estrogen-mimicking ingredients can cause allergic reactions and are considered carcinogenic in high doses. Colors: FDA is specific about which colorants can be used in lip and eye makeup. If there is F and D&C in front of color ingredients it means synthetic chemical dye. Petroleum and other petrochemicals: Can cause clogged pores, rashes and acne. Lead: Can cause health problems from miscarriages to seizures, in children brain damage. Look for one without lead and green version. 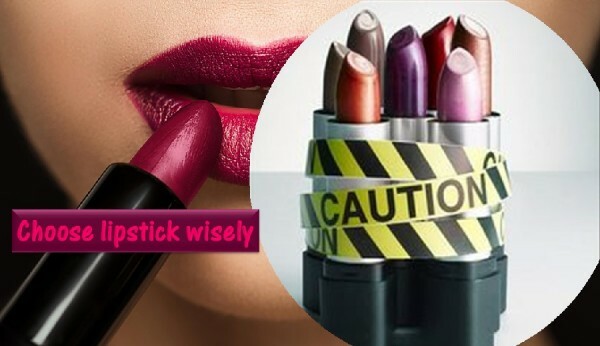 Fragrance or perfume: Do not buy lipsticks that have perfume or fragrance as they cause allergy and severe reactions in lips and mouth.